Doing job will be more effective and efficient with the support of high quality facilities. If you are a designer, architect or even the people with the draft based works, you will need a great ergonomic drafting table to support your day. 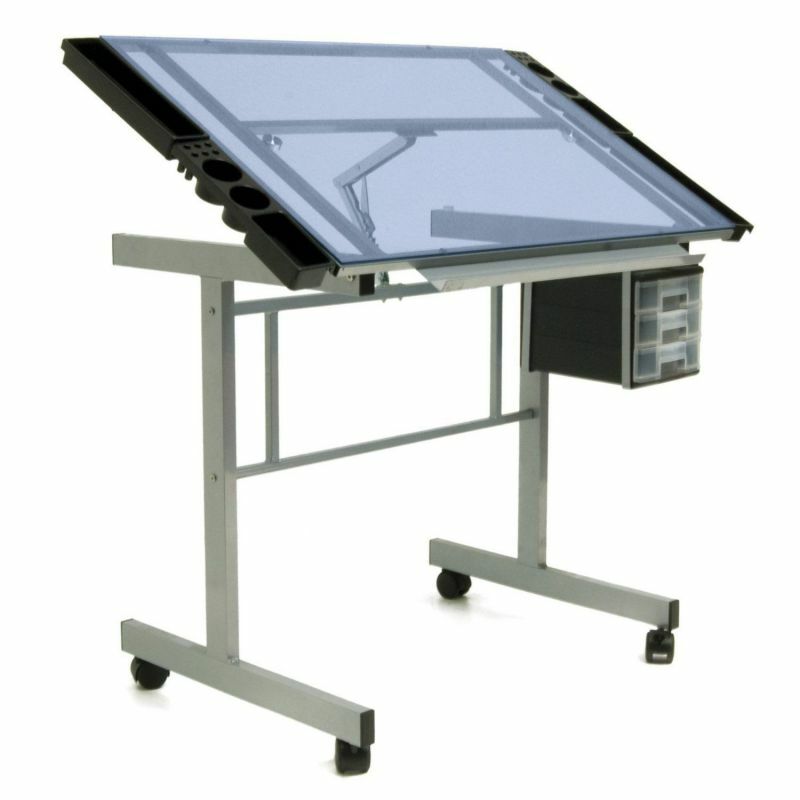 There is lot of types of drafting table that we can choose. Some are great in features, but they are not all ergonomic. You have to decide one that can bring your position in comfort. Working position will determine the mood, passion as well as the works itself. Let’s discover some tables which sit in the best-selling lineup. 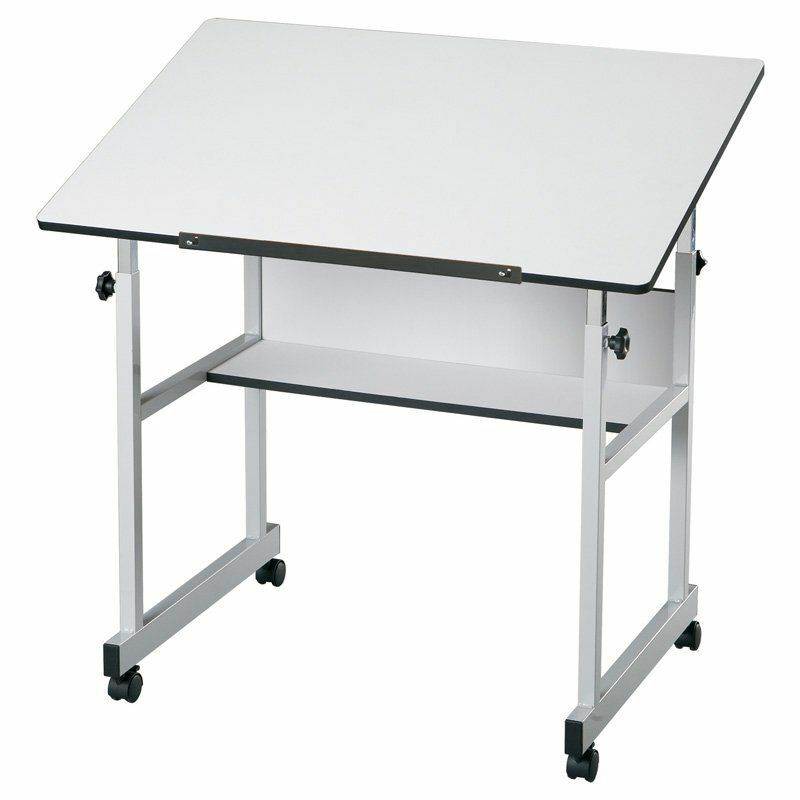 Coming with glass table surface, Vision Craft Station is one of ergonomic drafting table products in market. There are so many impressive aspects you can get. One of them is the presence of glass surface that make the work easier. The transparency can even make the measurement is more valid. You can choose between blue or silver glass colors. The main work surface of this stuff is 35.5 inches of width and 24 inches of length. The glass is fully tempered, so it is scratch proof. There are some plastic drawers and also caster that can give you a better mobility. 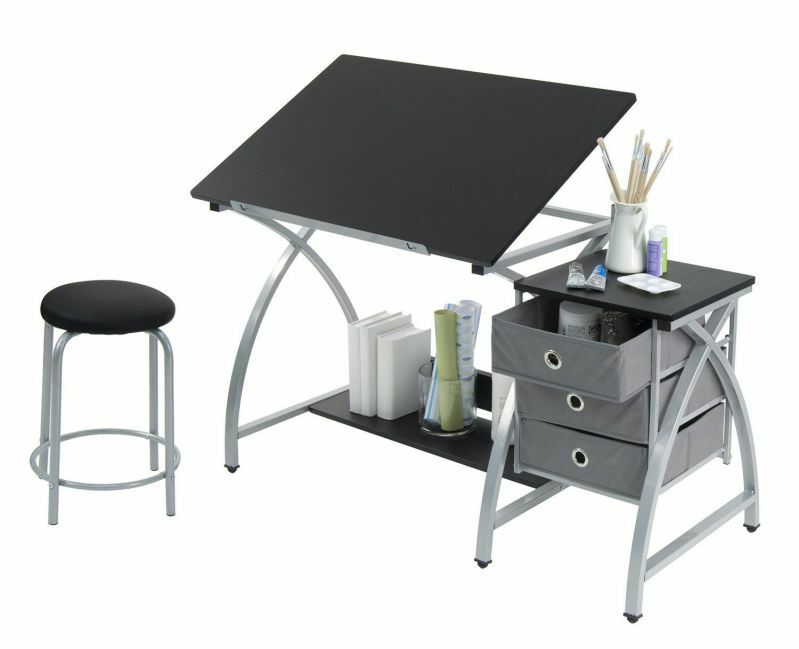 Most of the ergonomic drafting table comes to the market with a very simple design, so it forgets about the storage. Moreover, storage is an important element that you need to have. To make sure that you get the best one, you can check the presence of Studio Designs Comet Center. It is the drafting table that comes with stool as well. The design is simple and it works well with the table’s ergonomic sense. To gain the better function, you are capable to use its three drawers under the table. All the steel construction is made with heavy gauge system. It ensures the durability of the table. Having too much steel material is great for power and durability. However, they tend to be heavy and hard to be moved. You can now consider about choose the draft table with wooden surface. This is all what you get from Flash Furniture NAN-JN 2739-GG. 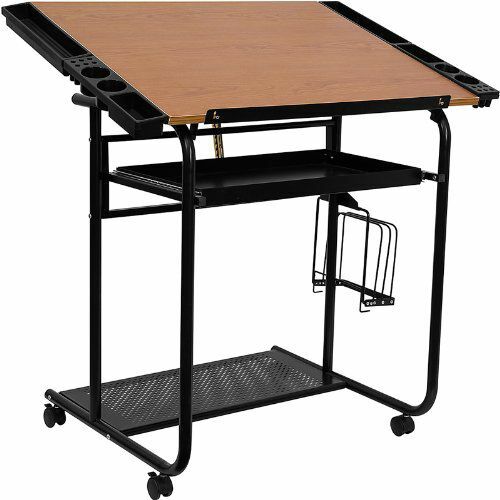 As the adjustable drafting table, it is supported by dual wheel for easier movement. In addition, the surface has good support through its ¾ inch of melamine. The presence of side storage is also good for the office utilities. 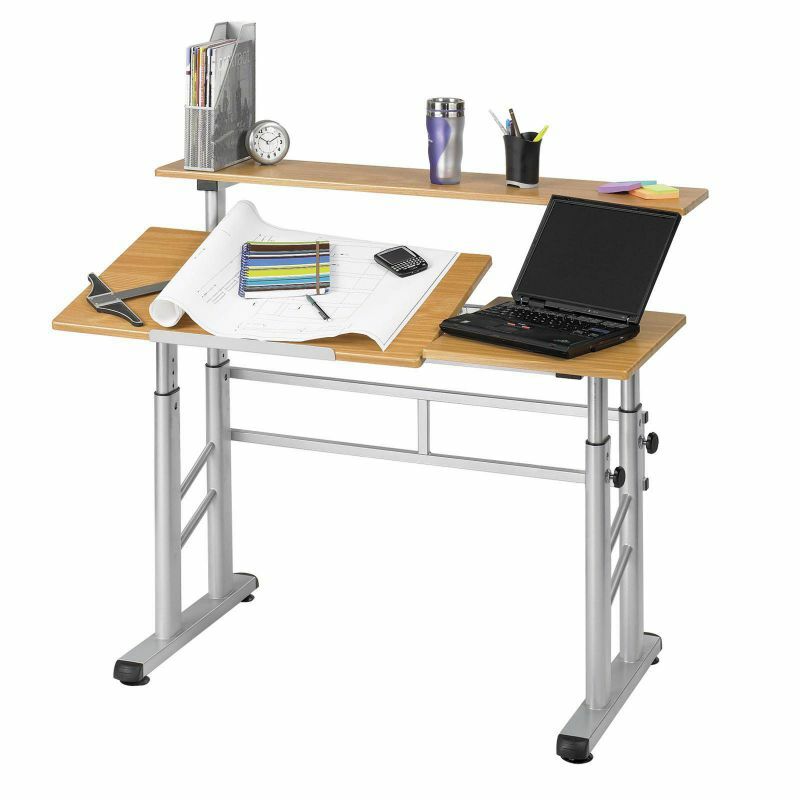 You can have this ergonomic drafting table to make your work better.